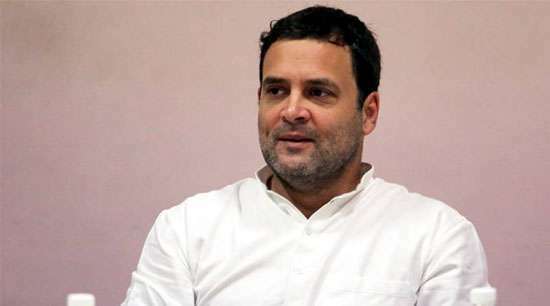 New Delhi, April 27: Congress President Rahul Gandhi on Friday asked Prime Minister Narendra Modi to raise the issues of Doklam and China-Pakistan Economic Corridor (CPEC) with Chinese President Xi Jinping, saying people of the country want to hear him talk on them. Gandhi referred to Modi’s televised speech during talks with Xi Jinping and tweeted that the Prime Minister looked tense. He termed Modi’s two-day visit for the informal summit meeting as ‘No Agenda’ China visit. “Saw live TV feed of your ‘No Agenda’ China visit. You look tense! A quick reminder: 1. DOKLAM 2. China Pakistan Eco Corridor passes through POK. That’s Indian territory. India wants to hear you talk about these crucial issues. You have our support,” Gandhi said. India has been opposed to CPEC, which will pass through Pakistan-administered Kashmir which is claimed by New Delhi. Earlier, Congress spokesman Randeep Singh Surjewala attacked the Modi government and said it was incapable of sending a strong message to China. In a series of tweets, Surjewala asked if Modi was going to confront China over the Doklam issue during his visit. “As Modiji ‘hugs’ his friend Xi Jinping, will he remember his innate duty to protect India’s strategic interests and question China on occupation of Doklam? “India is facing increasingly aggressive China to intrude into the ‘Chicken’s Neck’ – Siliguri Corridor – by building a new road through south of Doklam (Gateway to the North East), but why is Modi government clueless?” he asked.